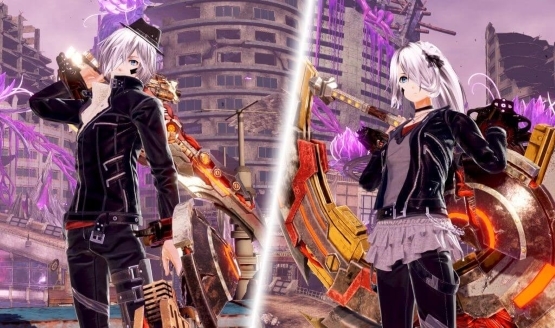 Progress is being made on the story-centered God Eater 3 update 1.30. Bandai Namco announced details on the post-game story episode, new costumes and accessories, and additional challenging aragami to fight. A new episode was previously announced for this update, and the team has confirmed that voiceovers for the characters have all been recorded. 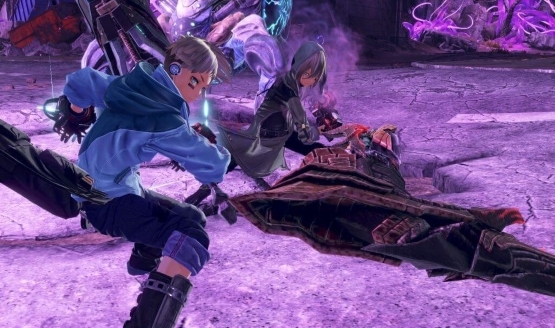 This episode takes place after the events of the main God Eater 3 story. Ein and the Hounds are making progress on the “Anti-Adaptive Armor,” so they can fulfill their dream but they’ve hit a snag. Two new allies have stepped in to help: Neil (Zeke’s long lost younger brother) and Keith. Bandai Namco claims that they’ve almost finished implementing Neil and Keith into the game. Neil fights by himself and he doesn’t interfere with what his allies are doing in the battle much. Keith is a support character, who attacks with a melee weapon and has mechanical moves at his disposal. We didn’t get a lot of details on Neil’s moves in this update. Bandai Namco wants to keep Neil’s battle moves a mystery for those who play the additional episode to discover. One of the new aragamis in Update 1.30, Ameno Havakiri, also appears in this trailer. The developer claims that it’s strong and has different attacks from Havakiri and Fallen Havakiri. Ash Anubis, another new monster featured in the additional content, will be quite different from its counterparts Anubis and Grim Anubis, according to Bandai Namco. The developer asks you to ” be prepared for the battle against them,” so it sounds like there are some tough fights ahead. Lastly, new costumes and accessories will be added to the game to help give your characters either a biker or a sporty look. Patch 1.22, which released yesterday, has made some adjustments to the gameplay to make the hunting experience more precise. The radial tracker module and when it is connected to a bullet has been adjusted. The Heal Radial: Follow module now tracks the Orb: Rotate in Place module while with online players. The controller input speed has been improved by one frame, which makes the gameplay experience more fluid. It also fixes the issues that Patch 1.2 caused with the Bullet Editor. Are you looking forward to playing this new content? What do you think of the new allies? Let us know!